Online Gas Analyser with real time data transmission to pollution board web server. Since we have incepted in this industry arena, we are engrossed in presenting a broad assortment of Tisch NOX Analyzer. 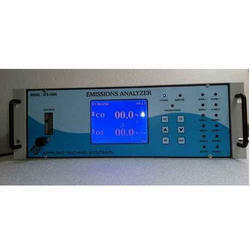 Available with us in a number of sizes and dimensional provisions, these offered analyzers are highly demanded. To add, these are developed using top notch material along with modern tools and machinery. Range: 0 to 100 ppb F.S., 0 to 20 ppm F.S. 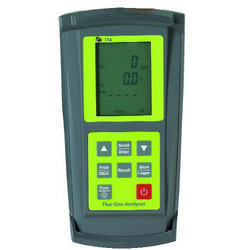 TPI 714 Combustion Flue Gas Analyzer With Nitric Oxide for Boiler Maintenance and Efficiency Analyzer with Data logging and Optional Infrared Printer. Raw exhaust gas measured capability, Heated reaction chamber (prevents condensation), 191 C sample oven, Cooled photomultiplier detector for absolute stability etc.